In the United States of America, the total cost for an academic year can rise over $60,000. Every year, these fees are getting more and more expensive. In fact, a list of the most expensive colleges in the US for the 2015 – 2016 academic year has been published recently. The numbers that you will see below represent the amount of money that students have to pay for their fees and tuition. Keep in mind that books, healthcare plans and travel have not been included in these expenses. So, do you want to find out what is the most expensive college in the US? 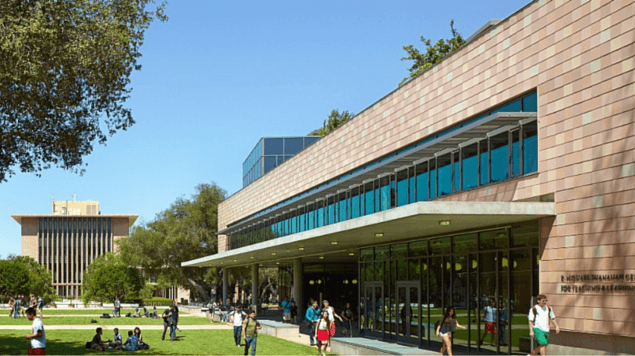 Situated in California (Claremont), Harvey Mudd College is the most expensive college in US. Describing their university as one of the most eligible science colleges in the United States, the costs of tuition, fees, board and room are huge. While there is no tuition reduction for the students, around 70% of the freshmen get financial help. Special cases of children from low-income families, receive almost $55,090 in aid during their first year. The legendary university is located in New York City, New York. It has come second in the top of the most expensive colleges in the US due to its spicy prices. About 50% of the undergraduates at this college in New York receive financial help so they won’t have to pay the full price of tuition. However, the prices remain pretty high. Located in Yonkers, New York, Sarah Lawrence College landed the third position in the top of most expensive colleges in America. This faculty is said to offer twice the amount of “one-on-one” contact time with the students as compared to other educational institutions. The average financial aid is $34,000. Learning the best out of liberal arts sure does cost a lot! New York University is notoriously expensive but has an excellent reputation when it comes to the programs it offers. The kids who wish to be students of one of the most expensive colleges in the US better prepare. The college located in New York City asks for proofs that they have enough assets to cover living expenses and tuition for at least an academic year before getting accepted. As you can see, you have to make a lot of sacrifices to become a student at one of the most expensive colleges in the US. In some cases, high school graduates can’t attend classes at these universities because of the astronomical prices. Children with a lot of potential, extracurricular activities and high grades risk attending a second-hand college because of their financial incapacity.